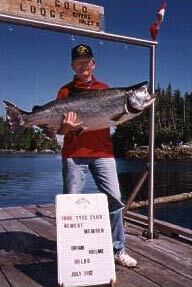 Brian Hulme will receive a free trip for 2000 for bringing in this exceptional 65 lb. salmon on July 31. Nice work!